Cherrydale Parade: September 22, 10:00am, 1900 N. Randolph St.
Joint Meeting to Discuss Key Elementary-Science Focus Building Swap, September 24, 7:00pm, 1501 N. Lincoln St.
Join us for a joint meeting of the Cherrydale Citizens Association and the Ballston-Virginia Square Civic Association on September 24, 7pm, at Science Focus School, 1501 N. Lincoln St., to discuss Arlington Public Schools’ proposal to swap Key Elementary and Science Focus Schools. APS staff proposed this switch in late August, and it proposes that the switch take effect in fall 2020 or fall 2021. APS staff claims that they can make this switch without approval of our elected School Board. This proposal leaves many unanswered questions. Key’s Spanish immersion program currently has more students than can fit into the ASFS building and trailers. APS proposes to either shrink the program or further reduce outdoor space. Additionally, APS has not addressed the impact on native speakers who live near Key School but whose families have indicated that they would not send their kids to the new location. Nor has APS addressed what would happen to Virginia Square and Cherrydale students who transferred to Science Focus based on location. Our goal in Cherrydale is to increase walkability to neighborhood schools. This does not seem like a step in the right direction. Come to the meeting to learn more and make yourselves heard. Civic engagement is more important than ever. 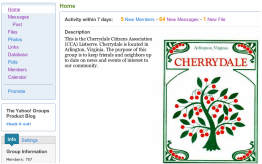 We ask you to join in at the neighborhood level by becoming an active participant in the Cherrydale Citizens Association. The CCA plays a unique role in guiding transportation, development, and school issues going on in our neighborhood. We help all our residents and businesses interact with County and State officials as well as public private developers who are bringing about many changes about in Cherrydale. These changes have a real impact on your lives, so you should be a part of them. ​The CCA can only serve you if you come to our meetings, where you can meet your fellow Cherrydalers, become better informed, make yourself heard, and, most-importantly, vote. We also need Cherydalers to step up and play a leadership role in Cherrydale. We are currently looking for new volunteers to serve as our Secretary, our Treasurer, our Newsletter Editor, and our Social Events coordinator. And we almost always have volunteers forming committees or joining in to address particular issues. We hope to see you at our upcoming meetings and join us in making a Cherrydale a better place for everyone. On September 5, the Cherrydale Citizens Association, Waverly Hills Civic Association, and Lee Highway Alliance hosted a joint meeting to hear Artis Senior Living present its revised proposal to build an assisted-living and memory-care facility. Artis is proposing to build its facility on the site of 2.8-acre “Courembis” property, on the northwest corner of Old Lee Highway and Taylor Street. Artis is a for-profit senior care company. It plans to place 184 units on the property, about half of which would be devoted to memory care. Artis guestimates that there might be about 45 employees on the site during the day shift. It would have to go through Arlington County’s site-plan process. The site is currently zoned primarily for multi-family housing and townhouses. The process still has years to go. Artis’s revised proposal shows promise. They are now proposing a 6-story instead of a 7-story building. They are also now proposing a publicly-accessible park on the corner of Old Lee and Taylor Street and are now prosing to move the parking underneath the building. They have hired local architects who seem to have a good understanding of design concepts and have studied the neighborhood. Thanks to the hard work of the Cherrydale Citizens Association, VDOT is taking a number of steps to help mitigate the impact of the new HOV Toll Sign on Lee Highway near Kenmore Street. ​VDOT has already planted a number of trees and shrubs that, over-time, will help screen the visual impact of the sign pole. It has begun improvements to the pedestrian crosswalk at Kenmore Street, which will culminate with the installation of rapid flashing beacon signs better marking the crosswalk for cars traveling in both directions on Lee Highway. And this Columbus Day weekend, VDOT will remove the existing 13’x16’ sign, light bar, and sign pole and replace them with a new matte-black sign pole and a noticeably smaller, 11’x14’ sign, with no light bar, and a new matte-black back side. This small victory came after months and months of VDOT telling Cherrydale that it would not change the sign, and Arlington County staff telling us they couldn’t do anything to help us. But we persisted. Over time, VDOT started to indicate a real interest in working with us. And they have been more and more understanding and accommodating ever since. Although the new sign will still be bigger than we would prefer, we’re not done yet. We will continue to see what we can do to get VDOT to maybe someday further reduce the size of the toll sign, until it is no bigger than the VDOT toll signs on Spout Run, Glebe Road, and Fairfax Drive. More importantly, we will continue to build on our new relationship with VDOT to address other issues on Lee Highway and I-66. Thanks, VDOT! Together we can do it. The CCA is working with the Lee Highway Alliance to move Lee Highway away from a “cars-first” design that speeds commuters through Arlington to a series of interconnected neighborhood main streets focused on Arlington residents and businesses. Cherrydalers love to visit shops in and around the Lyon Village Shopping Center. But too few of us walk or bike there because of the narrow, unlit sidewalks underneath I-66, and the long stretch of sidewalks hemmed in by huge retaining walls. We can change this. First, we hope to light the under-pass and turn it into a destination for walkers and bikers. Second, we need to reclaim the retaining walls, and maybe even an unnecessary traffic lane, and turn them into a fea-ture. ​This is where you come in! We need input on what this will look like in Cherrydale. The NoMa Business Improvement District in DC is leading the way for us on lighting. NoMA is hiring an artist to light the railroad underpasses that divide that neighborhood.T he CCA is already moving forward with the LHA and VDOT to explore our own light installation under I-66. We need your ideas about what our under-bridge lighting project could look like. Do we keep our costs down and follow NoMa’s lead? Do we find our own artists and create our own design? How do we incorporate a design that accounts for sidewalks on both sides of the street and the bike path? Similarly, we need your ideas for reclaiming the huge stretches of sidewalks that pass underneath the bridge and continue along the concrete retaining walls. Fortunately the County has redesigned the traffic signals and crosswalks at I-66. It’s a great start, but what else can we do? Do we turn the walls into painted murals? Hang other art installations on the walls? Or maybe we reclaim one of the unnecessary driving lanes with concrete planters and industrial-scale art installations? While always cost conscious, we want to be bold. We invite you to think about what you’ve seen in other parts of Arlington, other parts of the DC area, and other cities around the country and the world that you think could work along this stretch of Lee Highway. Lots of other communities have, without breaking the bank, found creative ways to reclaim spaces for walkers and bikers that were originally designed with only cars in mind. We can do it, too. Arlington County has recommended changes to the Bus Stops in Cherrydale. The recommendations include improving, moving, and eliminating various bus stops. Proposed improvements on the eastbound side include adding benches, trash & recycling cans, and ADA space at Quincy St. and a bench at the stop after Kenmore St. Proposed eliminations include the westbound stops near Klein's Auto Repair and near Sun & Moon Yoga studio, and stops in both directions at Utah St. We'll update you when we have more information. Three developers have submitted plans to change the General Land Use Plan (GLUP) for properties along Kirkwood Road and Washington Boulevard. The properties include the YMCA, the former Sport and Health Club, and continue down Washington Boulevard past Lincoln St. They would allow for high density development. Quincy Park North Residents have started a petition to ask the County to better study impacts to traffic, parking, building heights and setbacks along 13th St., and the future of the YMCA. Arlington Public Schools is moving ahead with its $37 million plan to renovate the former Ed Center into a 600-seat high school “program.” The new school is set to open in fall 2021. As part of that process, Arlington County’s Public Facilities Review Committee (PFRC) has added a subcommittee to review public uses of the new Ed Center school, and APS has created a Building Level Planning Committee (BLPC) to coordinate with the community about the design of the building. The PFRC subcommittee and the BLPC will begin their tasks with a series of joint meetings at 7:00pm onSeptember 18, October 16, November 15, and December 4in the Little Theater at Washington Lee High School, 1301 N. Stafford St. Additionally, the groups will hold a public meeting on November 15, 7:00pmin the same location. The CCA has appointed representative to both committees. As quick glance at messages on the listserve and Nextdoor or an evening stroll will tell you, Cherrydale neighbors are an opinionated bunch. Many of our ideas, suggestions and complaints relate to the services of Arlington County and Arlington Public Schools (APS). Luckily, we all live in an accessible jurisdiction, where the staff and leadership of both the county and APS value and act on input from the public. However, sometimes figuring out how to get involved can be daunting. Here are various ways you can find out what's going on and make your voice heard. Since its founding more than 100 years ago, the Cherrydale Citizens Association has been an unincorporated association. Moving forward, it may be better to incorporate the CCA as a non-profit 501(c)(4) association organized to promote the social welfare. The move would provide greater protection for officers and members alike, and would allow us to explore obtaining liability insurance. It would also improve our ability to accept donations via credit card payment. We’ve found a law firm that will donate their services to help us with the process and to file all the necessary paperwork. If this works out, we hope to move forward with this in the next few months. The Cherrydale Citizens Association is going on a tour of Cherrydale. Starting in May, we will be meeting in different parts of Cherrydale. On May 17, we are meeting in HB Woodlawn School Library, 4100 Vacation Lane to discuss the new VDOT sign, traffic, pedestrian, and bike safety. On July 4, we are meeting on the Fourth at 21st Street & Stafford Street for our barbecue, dance, and fireworks party. We will be meeting on September 27 somewhere else in Cherrydale to discuss how to get involved in Arlington’s many many citizen advisory committees. And on November 15 we will be talking about schools, holding CCA elections, and discussing changes to CCA’s By-Laws. revenue from renting out its Social Hall, and it recently found a new tenant for Wednesdays. But we also realized this was a great opportunity for us to meet in other parts of Cherrydale—its parks, its schools, its churches, and maybe its businesses or clubs. We are currently looking for places to meet on a rotating basis. If you have an idea about where the CCA can meet once or twice during the year, please contact CCA President Jim Todd at president@cherrydale.net. As previously reported, Arlington Public Schools is renovating the building that currently houses the H-B Woodlawn and Stratford programs and convert it to a new neighborhood middle school. As approved by the County Board, the resulting school will be a 1,000-seat, neighborhood middle school. Construction will be begin in early 2018 and be completed in time for a September 2019 opening. The renovation will add 40,000 square feet to the school building and cost approximately $36.5 million to build. The School Board will determine the attendance boundaries for the school in 2018. Since November 2014 when the School Board selected the Stratford site to meet urgent middle school capacity needs, multiple citizen committees and associations have worked hard to balance the many challenges at Stratford. The Stratford Building Level Planning Committee (BLPC) met 23 times, considered 9 different site access options, included representatives from 7 civic associations and 7 feeder schools, and heard public comment at every meeting. Because the Stratford site is adjacent to county recreational property (known as Stratford Park), a Public Facilities Review Committee (PFRC) has also been heavily involved in the planning process (meeting 13 times) to ensure that civic facilities involved in the project meet community goals for attractiveness, durability, and functionality. Stratford Park will also be renovated during the construction project, resulting in updated tennis and basketball courts, an improved baseball/softball field, enhanced lighting, and a picnic area. The sledding hill on the property will be preserved. After renovation, as currently planned, the school property will include 144 parking spaces for teachers and visitors, a small decrease from the 153 spaces currently provided on the property. However, the County Board and School Board have asked the project team to look for ways to increase the number of parking spaces so the final number may change. The project will include several pedestrian improvements, including sidewalks on both sides of Vacation Lane, new curb extensions and markings on the same street near the school and new crosswalks. The intersection at Old Dominion Drive will be revamped to allow students and other pedestrians to cross safely. Finally, the existing pedestrian path from Old Dominion Drive to the school will be made accessible for those with disabilities. A separate project will begin this summer to install a sidewalk on the south side of Old Dominion. The renovated school will also include ways to honor the historic nature of the Stratford site, especially its identity as the first public school in Virginia to be integrated (in 1959). APS has assembled a team of community experts and first hand participants in the integration to work with the architects and builders on how to commemorate the building’s history. This Special Committee on Historic Interpretation at Stratford meets at 7 p.m. on May 23 at H-B Woodlawn and the public is invited to attend. If you would like more details on the project and the specific upgrades to the school and surrounding streetscape, you can find it at the project website here: http://apsva.us/design-and-construction/stratford-middle-school-project/. Cherrydale representatives on the BLPC are Eve Reed (ereed_dc@yahoo.com) and Raymond Sendejas (sendejasr@gmail.com), and the Cherrydale representatives on the PFRC is Mark Bildner (mark@bildner.net) and Carole Russo (carolerusso@yahoo.com) . New crosswalks across Lee Highway at both corners of Brown's Honda and across Quincy St. at 21st St.
A longer left turn lane from westbound Lee Highway to Quincy St.
You can see the planned improvements here. Hopefully they will improve the pedestrian, cylcing, and driving experience. The Sweet and Sour News is a great way for the Cherrydale Citizens Association to reach every Cherrydaler, young and old. It is a unique resource for providing news and information about Cherrydale and Cherrydalers. ​Over the years, we’ve had a number of Cherrydalers contribute articles or even start a column. We’re looking for folks to start doing that again. And delivering the Sweet and Sour News is a fun and easy way to join our tremendous network of Cherrydale volunteers. The newsletter comes out five or six times a year, and volunteers adopt a street and have two weekends to hand deliver the newsletter. 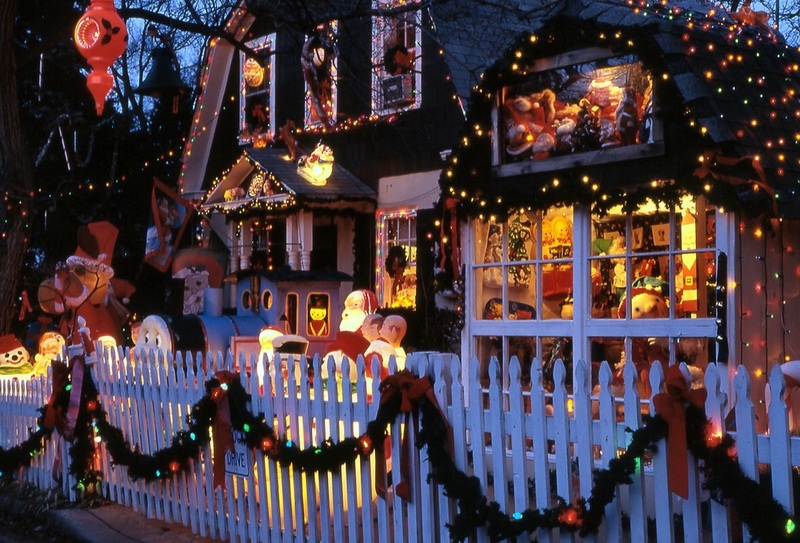 It only takes about 20 or 30 minutes and is a great way to stay in touch with your neighbors. ​Email CCA President Jim Todd at president@cherrydale.net if you are interested in contributing an article or volunteering. Thanks! ​Join us on October 3, 7:30 pm, in the H.B. Woodlawn School Library to discuss the new problems caused by the County’s reconstruction of the Five Points Intersection. 1. Eastbound traffic on Old Dominion during morning rush hours backs up much more substantially than it ever used to, with the back-up extending beyond Glebe Road. We are requesting that the County prioritize its signal re-timing program for this stretch of Lee Highway/Old Dominion to alleviate this back-up. 2. The County’s signal programming decisions concerning the left turn signals for cars turning left from westbound Lee Highway onto either Quincy Street or Old LeeHighway is confusing and problematic. The left arrow signal turns red after only 7- or 8- seconds after turning green, causing cars to come to a full stop. The left arrow signal then quickly resumes as a blinking yellow left arrow for another 9- or 10-seconds, but drivers must contend with oncoming traffic from Old Lee Highway. This signaling program dramatically reduces the flow of left-turning traffic and causes cars to back-up on westbound Lee Highway, especially during the afternoon rush hours. We are requesting that the County revisit this signal timing. 3. The new left turn patterns for cars turning left from Military Road onto Lee Highway and from Quincy Street onto Old Dominion is also reducing traffic flow through the intersection. The new pattern allows far fewer left-turning cars to clear the intersection before the light turns red, and also causes a queue of left-turning cars that have already entered the intersection from Military Road to remain in the intersection after the left arrow for westbound cars on Lee Highway turns green, further reducing the number of cars that can turn left from westbound Lee Highway onto either Quincy Street or Old Lee Highway. This also poses a hazard to pedestrians in the new crosswalk on Lee Highway. We are requesting that the County restore the long-standing left-turn pattern for Quincy Street and Military Road and place signs to so indicate. 4. The signal visors on the traffic lights for westbound cars proceeding from westbound Lee Highway to Old Dominion are so restrictive that westbound cars cannot even clearly see the signals. This is causing confusion and reducing the flow of westbound traffic through the intersection. 5. Collectively, these signal problems make for angry drivers who tend to speed through the intersection after the signals have changed, which is extremely dangerous for pedestrians and cyclists. 6. The new pedestrian crosswalk on the east side of the intersection near Browns Honda and Northside Vet is very hard to see for drivers turning left from Military Road onto eastbound Lee Highway and is behind the stop line for westbound Lee Highway. Drivers caught in the short left-turn signal from westbound Lee Highway tend to block the cross walk, and other westbound cars also block the crosswalk. We are requesting that the County modify many aspects of the intersection to make the crosswalk safe, including the left-turn system for cars coming from Military Road. 7. The pedestrian signal across Military Road automatically comes on almost 20 seconds after the light of westbound cars on Lee Highway turns green and only after the signal for eastbound Old Dominion turns green. We are requesting that this be changed to follow the signal timing for westbound Lee Highway. 8. The pedestrian signal across Old Lee Highway only turns on when the light is green for Military Road and Quincy Street. We are requesting that the pedestrian signal come on after the left arrow for cars traveling westbound on Lee Highway turns red but the light is green for cars traveling eastbound on Old Dominion. 9. The pedestrian signal across Quincy Street only turns on when the light is green for Old Dominion. We are requesting that the pedestrian signal also come when the light is green for cars traveling eastbound on Old Lee Highway. 10. One of the new curb ramps for the new crosswalks come up at 90 degrees from the street. This design is challenging for people on wheels (wheelchairs, strollers, bikes, scooters, etc.) and poses an unnecessary risk of falls. We are requesting that the County reinstall the curb with sloped sides, similar to what the County recently installed at Route 50 and Henderson Streets. 11. The stop-for-pedestrians placard in the middle of the street on Military Road near the Vacation Lane crosswalk is no longer on the yellow line, and now sits at least one foot into the southbound traffic lane of Military Road. This is causing cars to swerve into the newly painted bike lanes on this part of Military Road, and presenting a serious hazard to cyclists. We are requesting that the County relocate this placard ASAP. 12. We remain disappointed that the County did not eliminate the slip lane from Military Road to Old Dominion. The slip lane seems unnecessary and is not pedestrian friendly. Cars using the slip lane are stopping in the pedestrian crosswalk before turning onto Old Dominion. We are requesting that the County now eliminate the slip lane or at least ensure that there is adequate signage to ensure that cars actually yield to pedestrians and stop blocking the crosswalk. 13. Cars and work vehicles are parking/puling over in some of the new bike lanes, especially on southbound Quincy Street south of 21stStreet. This causes bikers to reenter the traffic lane. We are requesting that the County install bollards, ensure that it has adequate no-parking signs along this stretch of Quincy Street, and actively ticket & tow violators to ensure the bike lanes are actually usable for bikers. 14. Several cars turning left from southbound Pollard Street onto eastbound Lee Highway are still coming to a full stop in front of the Cherrydale Volunteer Fire Department and waiting for the Lee Highway light to turn green. This also blocks traffic for cars proceeding north on Pollard Street onto Lee Highway. Although the County has added do-not-block intersection signs in this area, the intersection remains confusing for drivers. We are requesting that the County put the same yellow X-pattern striping in front of the Cherrydale Volunteer Fire Department that it has placed in front of County-owned Fire Station No. 3 just up the street on Old Dominion. Last year we had to cancel our much-loved July Fourth Party at 21st& Stafford Streets for lack of volunteer support. Cherrydale’s annual barbeque, potluck, and fireworks block party is hands down the best small-town July Fourth Party and one of the highlights of living in Cherrydale. It takes a lot of advance planning and a lot of work to put this event together. We raise funds from Cherrydale businesses so we can hire a DJ, rent a moon bounce and port-a-potty, and grill hamburgers and hotdogs. We need volunteers to take on those fundraising and planning tasks. We also need volunteers to set-up, run the party, and clean-up. ​Many thanks go to Cherrydale President Jim Todd, and Cherrydalers Michael DeCarlo, and Melissa Mitchell for organizing the party in past years (and a special thank you to Cherrydaler Sandy Moore for taking the lead in 2017). But we need your help to make this great party happen. Please contact Jim Todd, at president@cherrydale.netif you’d be interested in playing a lead role in bringing this party back. We really appreciate everything you can do to help keep Cherrydale a tight-knit community. Arlington Public Schools is changing middle school boundaries to incorporate the opening of the new Stratford Middle School under construction in Cherrydale. The resulting boundary changes will impact the boundaries of all six middle schools. Construction on Stratford Middle School is expected to be complete in time for the 2019-20 school year. The H-B Woodlawn program currently operating there will be moving to its new building on Wilson Boulevard in Rosslyn. Join us at our next CCA meeting to find out how you can participate in the boundaries debate. Who doesn’t love throwing a birthday party? 2018 will mark the 125th anniversary or Cherrydale’s founding! The Cherrydale Citizens Association is starting to plan now for an entire year of celebrations in 2018. 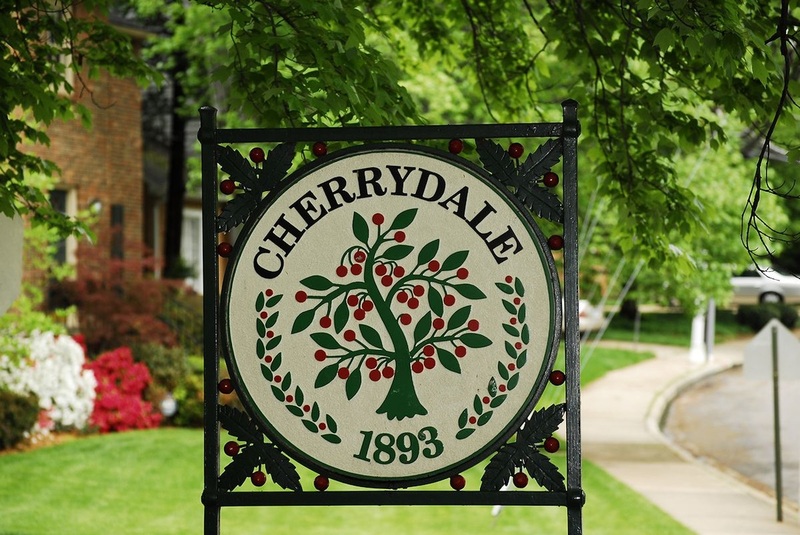 We’d love to focus not only on Cherrydale’s history but also on its present and future. We’d also like to host a series of different kinds of events so everyone can find a way to join in the celebration. We’re looking for a number of volunteers to be part of planning the events, and maybe even take charge of one of them. Come to our March, and May CCA meetings or email CCA President Jim Todd at president@cherrydale.net if you are interested in volunteering. Thanks! 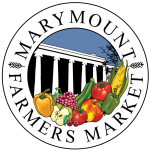 The Marymount Farmers Market is returning this summer beginning in late May. It will be open every Saturday from 9am to 1pm. Shop for local produce, fresh eggs, baked goods, pickles, meat & cheese. Parking at Blue Garage. ​This year the Farmers Market is starting the Adopt-a-Saturday program. They are looking two people from civic associations, churches, scouts, or other groups to volunteer to help set up and take down the Market one time. Several other civic associations have been able to round up volunteers. The Cherrydale Citizens Association would love to be able to adopt a Saturday. Come to our March, and May CCA meetings or email CCA President Jim Todd at president@cherrydale.net if you are interested in volunteering. Thanks! Arlington County planners may be about to take over planning for the future of Lee Highway after three years of hard work by the Lee Highway Alliance (LHA). 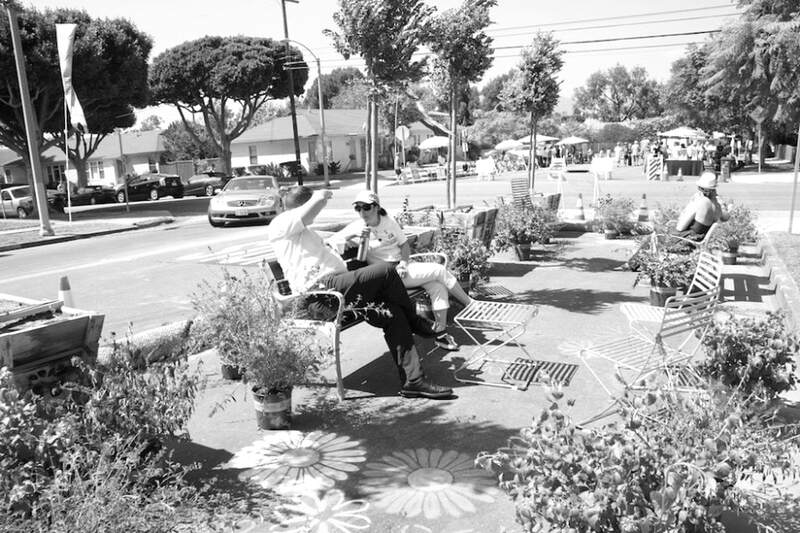 The LHA is a citizen-led effort to plan for a more economically-viable, walkable, and attractive corridor that benefits the neighborhoods and the business community. The LHA published a Visioning Study in May 2016 after three years of meetings and community-outreach efforts. Cherrydale already has its own planning documents. 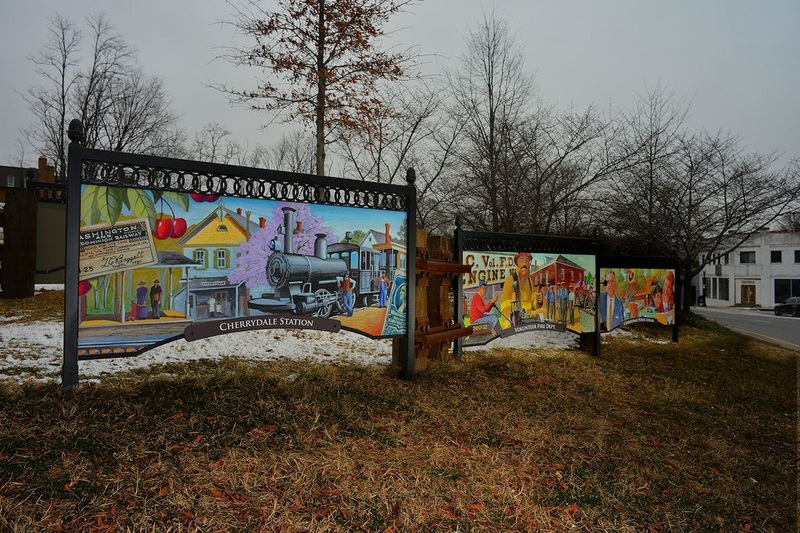 The County Board adopted the Cherrydale Revitalization Plan in 1994, and the Board has approved Cherrydale's Neighborhood Conservation Plan (NC Plan) in 2014. The Revitalization Plan focuses on economic redevelopment of Lee Highway through design initiatives, while the NC Plan focusses on the neighborhood's preferences for Lee Highway and our residential streets. The Revitalization Plan is over twenty-years-old. The question for Cherrydale is whether to ask County planners to leave Cherrydale out of initial Lee Highway planning or to begin its Lee Highway planning with a re-examination the Revitalizaiton Plan. This could be a chance for the County to understand what worked and what didn't, and it could be a chance to update elements of our plan that are showing their age. But it could also reopen long-settled debates about the future of Lee Highway through Cherrydale. Since the goal of this planning is to develop a unified vision for Lee Highway's future, rather than letting decisions happen on a ad hoc basis, now may be a great time to focus more resources on Cherrydale. The future of the Buck property was supposed to be decided after the recommendations of the new Joint Facilities Advisory Commission (JFAC), a citizen and staff advisory body that will be convened in 2017 to provide input to the County Board and School Board on capital facilities needs assessment, capital improvement plans and long-range facility planning for both the County and Arlington Public Schools. The JFAC could be a huge step forward for Arlington, as it is the first time that the County will actually plan for future school sites. But all that is up in the air now. Before Arlington even purchases the Buck property, Arcland Property has proposed a 2.3-acre land swap for property they lease to the County in Shirlington (and where the County currently parks its bus fleet) for a similar-sized piece of Buck property. Arcland wants to build a six-story self-storage facility right on Quincy St. County Manager Mark Schwartz appears to want to move ahead quickly. The County Board has authorized to pursue negotiations of potential terms of the swap. While the JFAC would still have a role to play in recommending uses for the remainder of the Buck property, the County may be moving ahead with the land swap without awaiting JFAC input. Fortunately, it's easy to let the County know what you think: Please submit a comment to the Board asking them to let the JFAC make recommendations about the future of the entire Buck property, not just the scraps. Please remember that the County needs space to park buses for for other infrastructure uses. But it also needs space for future schools and other community uses. This is your chance to make a difference. ​The Buck property is a chance for the County to think strategically, to develop a true long-term plan that will benefit all of Arlington now and in the future. But it's also a chance for the County to demonstrate that sometimes it still focuses only on solving the immediate problem before it, at the expense of the greater good. Let's hope the County chooses to wait for JFAC input. We will update this page as we learn more. ​Read the latest issue of our newsletter, the Sweet & Sour News, or check out our Archives. Are you receiving your copy of the Sweet & Sour News? If not, contact your distribution captain. Advertise in the Sweet & Sour News. Join our Yahoo Groups List Serve. Do you have a question or problem with your subscription to the listserve?